My goal for the new year has been to help my son learn to read. 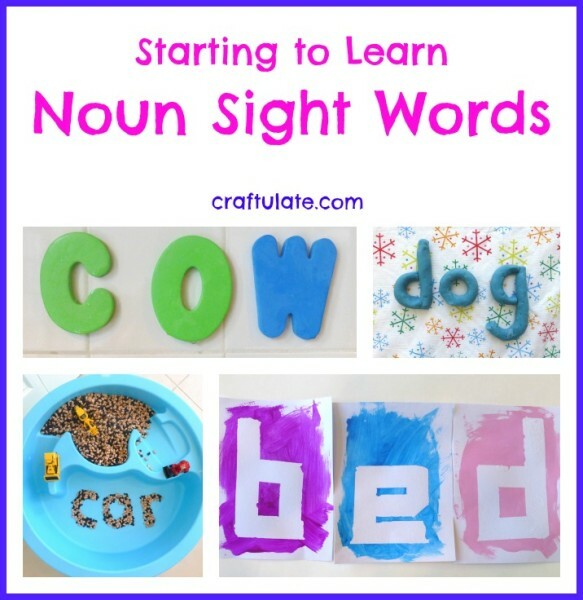 Here are some fun ways that I have used to help him learn some noun sight words. F will be 3 years old in a few months time and has known all his alphabet and phonics for many months, so I thought he might be ready to start some simple reading. He can recognise and spell out his name which is a great start. I looked at how to teach sight words, which are high frequency words and/or words that can’t easily be “sounded out”. But the usual starting lists don’t include nouns, and F doesn’t seem to use many of the words on the starting lists in his speech. He’s still young, and I want to keep the momentum going, so I decided to start with some noun sight words. My idea was to pick one word at a time, and make it appear all over the house. For our first word I chose “dog“, and used lower case. I wrote it on his chalkboard tray, used plastic letters on the magnetic board in his bedroom, made the letters out of play dough and wrote it on his doodler. A few days later I changed the word on the chalkboard to “car“. I asked him what it said and he muttered “car” uncertainly, then guessed at “dog”. Quite interesting that he could actually recognise “car” but remembered that “dog” was the correct answer last time I asked him to read the word on the chalkboard. Later I wrote “car” with plastic letters on his magnetic board. He read the word, took down the letters, then put them back up in the correct order (and almost the right way round!). This really reinforced to me that I am teaching him these words at the right time. I also used the beans in our bean sensory table (which uses a water table that we brought inside for the winter and gets played with EVERY day) to form the word “car”. Our next word was “bed”. For this I repeated some of the ideas already mentioned, plus I also used our tape-resist banner technique and I made a crayon rubbing card using a hot glue gun, as inspired by And Next Comes L.
When I first showed him the word on the chalkboard, he guessed at “red” which isn’t bad! So we sounded out each letter. By the time we got to the other activities for “bed” he recognised the word immediately. One of the reasons I used lower case letters was because they are more likely to be found in F’s books. After focusing on a particular word, I made sure we read some books that contained the latest word, to reinforce the idea. I made new noun sight word cards for our Cariboo game (link provided but as Cranium doesn’t manufacture it any more you might want to check eBay). I used clipart images for one side, and wrote the text on the reverse. Then I laminated the cards for durability. If you’d like a copy of these cards then get them for FREE in my Craftulate Shop! For the reasons mention above I decided to focus on lower case letters when teaching F to read. But you could consider words like “cow” that look almost identical in upper and lower case. Here are examples of this using our large plastic cookie cutters and sparkly play dough, foam bath letters, our homemade magnetic fabric alphabet and a crayon rubbing over foam letters inspired by School Time Snippets. 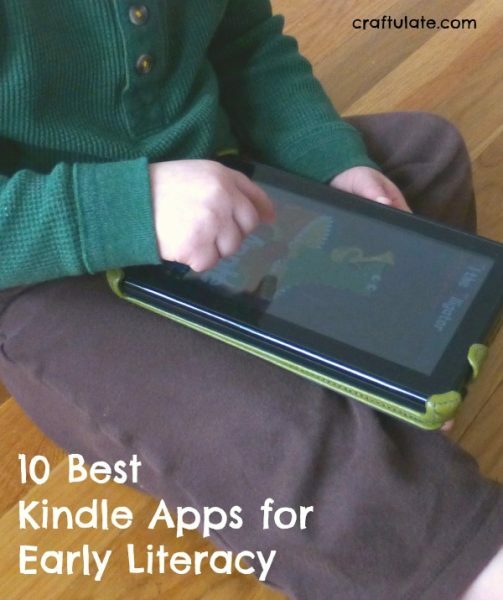 If you have a Kindle then check out our 10 Best Kindle Apps for Early Literacy. I hope that this has inspired you to try out some fun noun sight words! 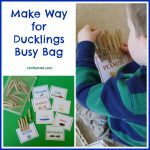 I Can Teach My Child – amazing resources, advice, sight word activities and inspiration! 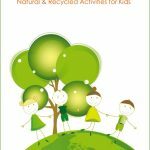 The Measured Mom – great information and super cute (and free!) 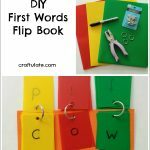 downloadable sight word booklets. Growing Book by Book – 100 ways to grow a reader! 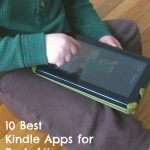 Thanks for including our 100 Ways to Grow a Reader. There are so many great ideas in this post. I can’t wait to explore! What an awesome post! So many great ideas! I can’t wait to try this with my daughter!! That tape resistant technique is very intriguing. Thanks for all the great ideas! This is such an awesome idea! I’m going to try it with my little one. Thanks for linking up on my vocabulary linky today! Such a great selection of ways for teaching words.